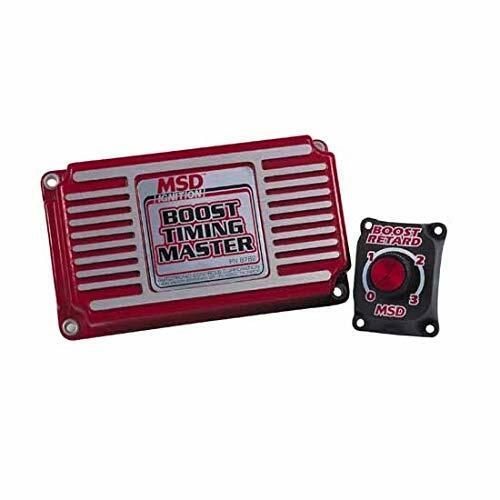 The MSD adjustable timing control puts you in control of your ignition timing from the driver's seat. A dash-mounted control knob allows you to adjust the ignition timing to compensate for changes in altitude, low octane gas, or heavy loads. For cars driven every day but raced occasionally on the weekends, this control is perfect. Increased fuel mileage and performance are just some of the benefits as the ignition timing can be advanced or retarded to prevent engine detonation. The control knob mounts to the dash board for easy and accurate timing adjustments up to 15 Degree. 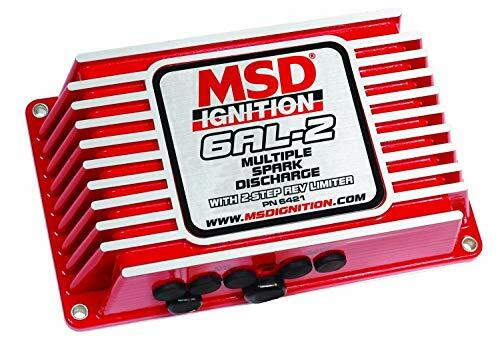 The control can be used on 4, 6 and 8-cylinder engines and must be used with an MSD Ignition control. 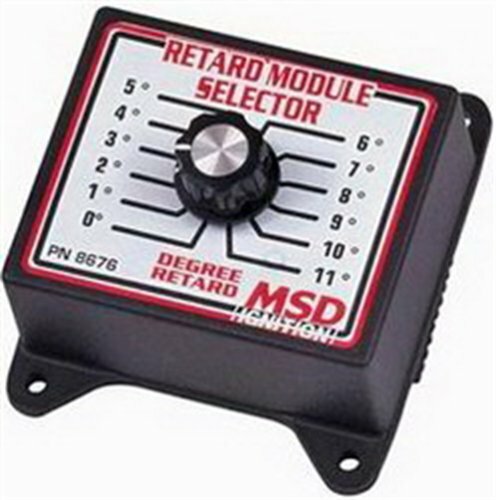 The Retard Modules selectors allow you to select between 12 retard amounts with the turn of a dial. The selectors plug into the Retard Modules receptacle of any MSD timing controls. Easily Set A Start Retard And S Step Retard. 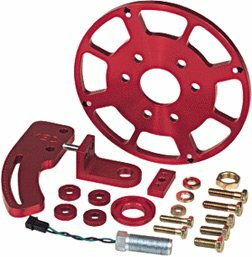 Improves Cranking On Engines w/Locked Out Timing. Single Stage Of Retard. Adjusted With Rotary Dials. Must Be Used With MSD 6/7/8-Series Ignitions. 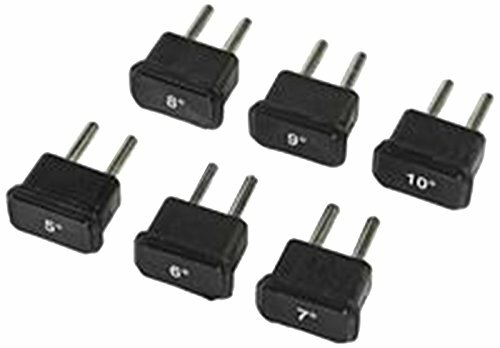 Connects To Magnetic Pickups Or Points. Works On 4/6/8 Cylinder Engines. The Boost Timing Masters allow you to adjust the amount of ignition retard from 1° per pound of boost to 3° per pound via a control knob that you mount on the dashboard. This way you can make adjustments on the fly to prevent detonation as fuel quality or altitude and air quality changes up to a maximum of 15° retard. You can also set a boost pressure point to start the retard. 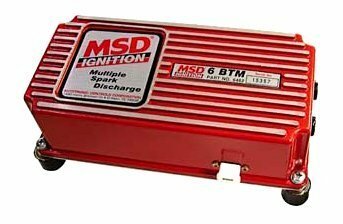 There is a boost pressure port to connect to your manifold and the BTM wires easily to the MSD Ignition Control.Installation Instructions (PDF) Installation Instructions (PDF) Adjust the timing from the drivers seat.Easily connects to your MSD Ignition.New feature allows you to set a boost pressure point to start the retard! The boost timing masters allow you to adjust the amount of ignition retard from 1 Degree per pound of boost to 3 Degree per pound via a control knob that you mount on the dashboard. This way you can make adjustments on the fly to prevent detonation as fuel quality or altitude and air quality changes up to a maximum of 15 Degree retard. You can also set a boost pressure point to start the retard. 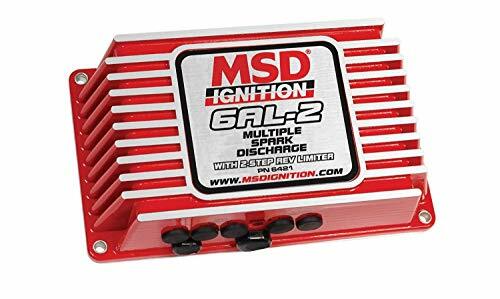 There is a boost pressure port to connect to your manifold and the BTM wires easily to the MSD Ignition control. 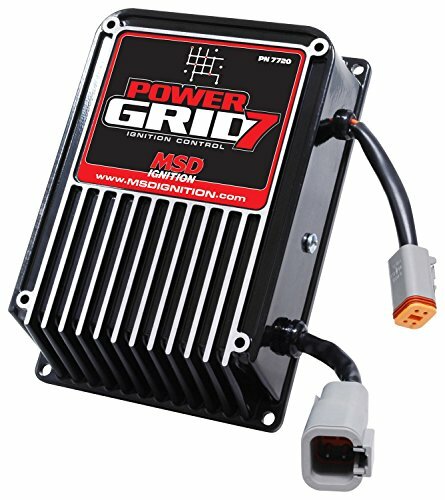 For Street And Performance Cars. Take Advantage Of Tuning-In An Ignition Curve. Boost Timing Map From A PC. 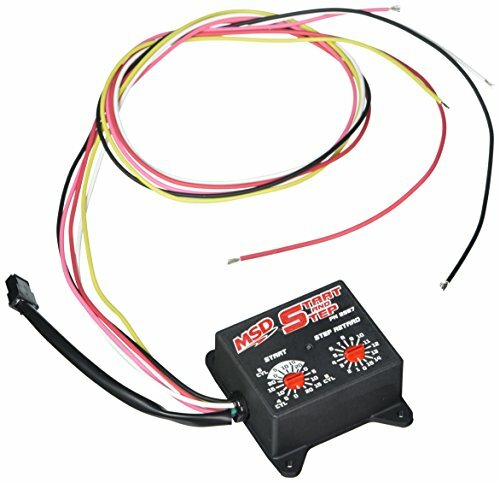 Provides Simple Adjustment To Two Step Rev Limiter. And Step Retard. 535 Primary Volts. Spark Energy Reaching 135 mJ. 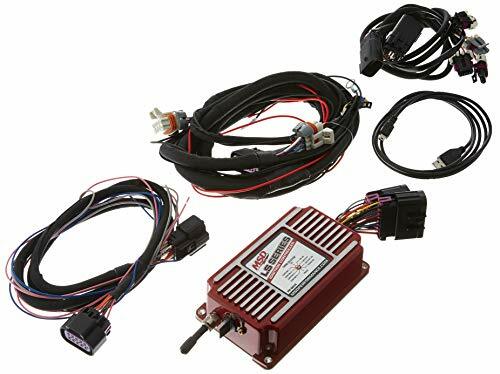 MSD Retard Modules kits give you a full selection of Retard Modules to be used with your timing controls. 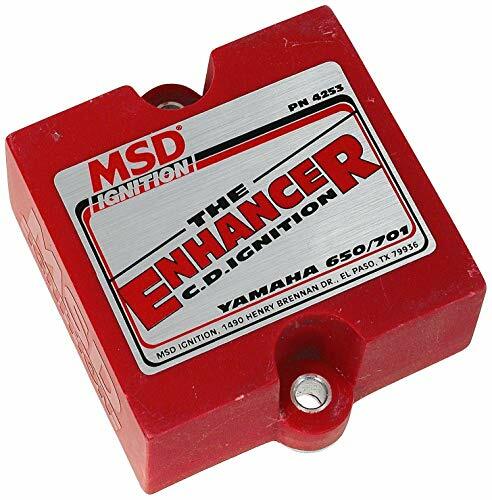 If you own a Yamaha with a 650 or 701 engine, this Enhancer is a necessity. The Enhancer produces a powerful spark with increased spark duration. Not only does the improved spark energy boost power, but this Enhancer features a more aggressive timing curve for even more power to get you going. At lower RPM you'll notice incredible acceleration and throttle response due to advancing the timing. Then as the RPM increases, the timing is retarded to the factory setting to prevent detonation and engine damage. For racers, there is also a lower RPM limit that you can activate for quick and consistent hole shots. By activating a switch mounted on the handlebar the RPM will limit at approximately 3,000 RPM the instant the button is released, the RPM revs up just as normal and you Rocket off. Everything you need to install the Yamaha Enhancer is supplied along with factory connectors for a direct plug-in installation. The digital multi-retard provides four different stages of retard along with an adjustable start retard feature - all of this with no modules. 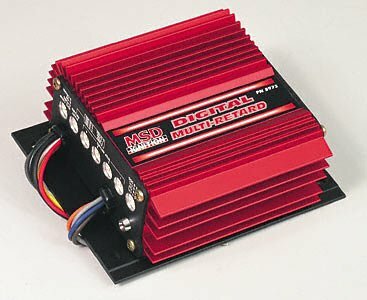 The MSD multi-retard uses a high speed RISC micro controller to direct the timing functions. This controller can make extremely quick compensations to the timing while maintaining accuracy to within 1 Degree. There is also an innovative magnetic pick-up compensation circuit built in to allow for rock-steady timing with a variety of different mag pick-ups. There are four separate retard stages that can be activated independently or together for a to­6AL sum of retards. Each stage is adjustable from 0 Degree - 9 Degree and a maximum of 20 Degree of retard can be pulled out. On top of these great features, there is also an optional start retard circuit that can be programmed to retard the timing 5 Degree, 10 Degree, 15 Degree or 20 Degree during cranking. 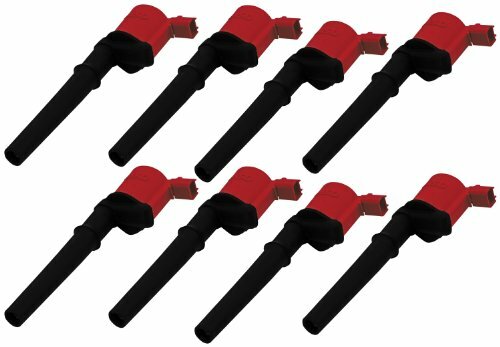 The digital multi-retard can be used on 4, 6 or 8-cylinder engines and must be used with an MSD Ignition control. 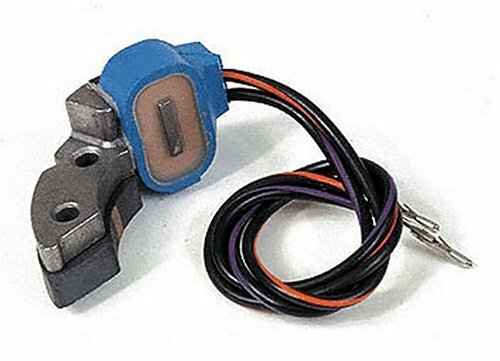 When you install EFI on your engine, most systems will require the ignition timing to be advanced for the ECU. This can cause issues with rotor phasing, but the new adjustable rotor remedies this issue. The rotor is based on MSD's popular PN 8467 race rotor so it will install on most any MSD distributor with a PN 8433 cap. The rotor offers up to 20 degrees of advance or retard and is easy to set up with accurate one degree increment adjustments. The 6 bum is ideal for engines with a turbo or supercharger. 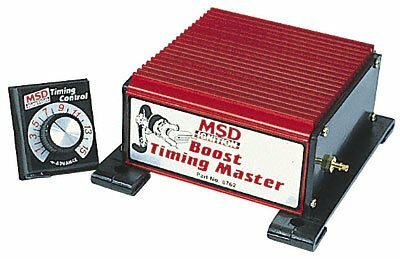 Not only will the engine benefit from MSD's full power cd sparks, but there is also an adjustable boost/timing retard circuit to prevent detonation. When your turbo or blower forces the air/fuel mixture into the engine, the cylinder pressure inside the combustion chamber increases. The result is a great increase in power but this can also lead to detonation that can result in severe engine damage. The 6 bum lets you dial away detonation by retarding the timing in relation to the boost pressure. A dash mounted control knob lets you adjust the amount of timing retard. It can be adjusted from 0 degrees per pound of boost to 3 degrees per pound (up to 15 degrees). The 6 BTM also shares the soft touch rev control of the 6al ignition for overrev protection. 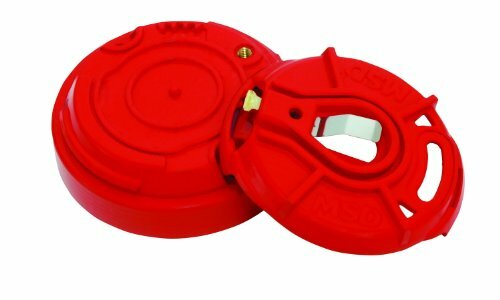 The BTM is supplied with rubber shock mounts and rpm modules for 3,000, 6,000, 7,000 and 8,000 rpm. 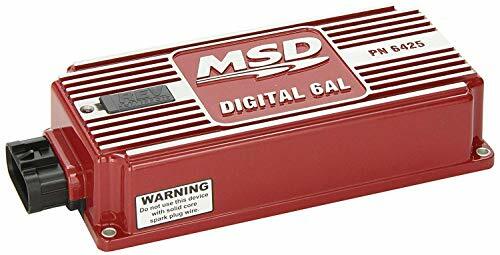 The MSD magnetic pick-up replace Merlin is the same high output assembly that is currently found in all MSD distributors. It is supplied with the two pin connector installed. 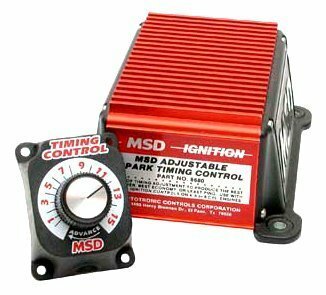 Compare prices on Msd Timing Control at Elevelist.com – use promo codes and coupons for best offers and deals. We work hard to get you amazing deals and collect all avail hot offers online and represent it in one place for the customers. Now our visitors can leverage benefits of big brands and heavy discounts available for that day and for famous brands.